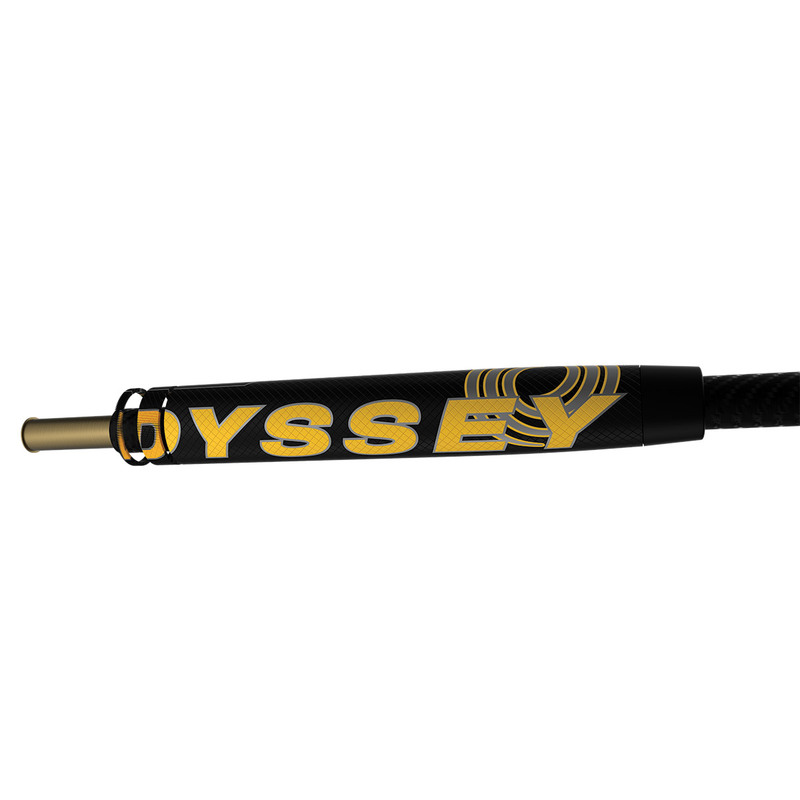 Odyssey Golf has created this new putter to improve impact and tempo during the putting stroke, this is made possible thanks to a new multi-material shaft. 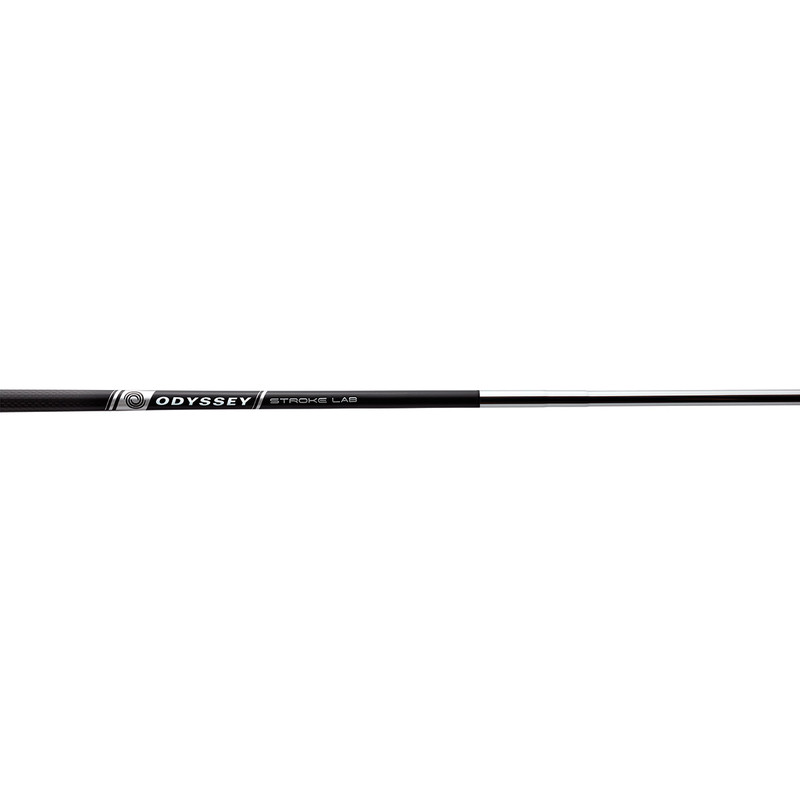 The shaft on the putter combines graphite and steel, to ensure this shaft is a full 40g lighter than a traditional putter shaft. This technology is possible thanks to an elastomer insert, combined with a new stainless steel Microhinge insert with the individual hinges that flex on impact. This technology lifts the ball to produce more topspin for a better roll regardless of your putting stroke. This incredible putter not only looks great but feels good too, with iconic White Hot sound and feel to give you increased confidence to knock the golf ball in the hole. 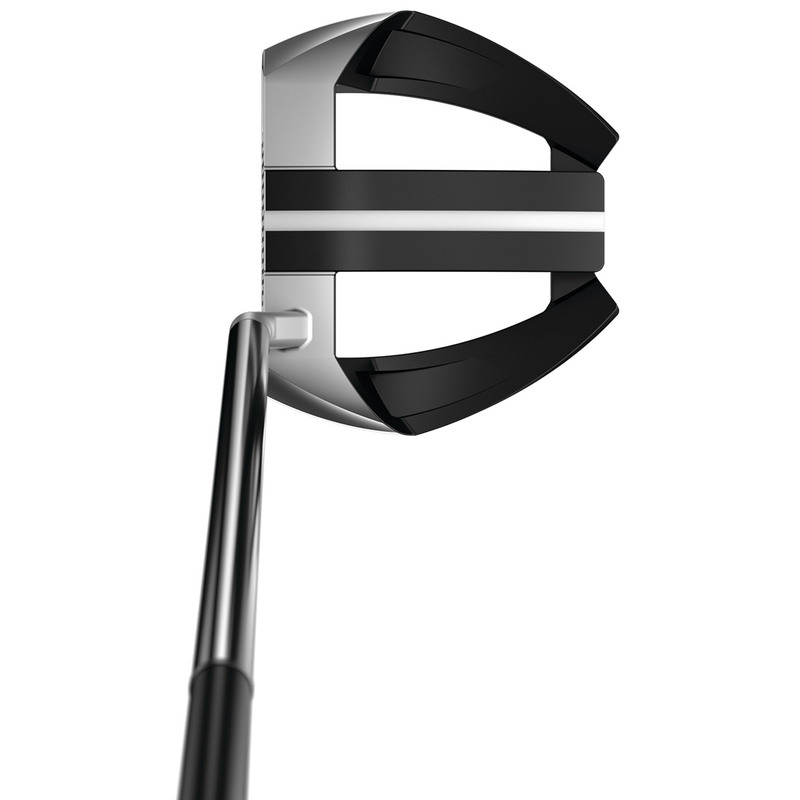 To create a new approach to putting the putter needed a profound change in weight distribution. 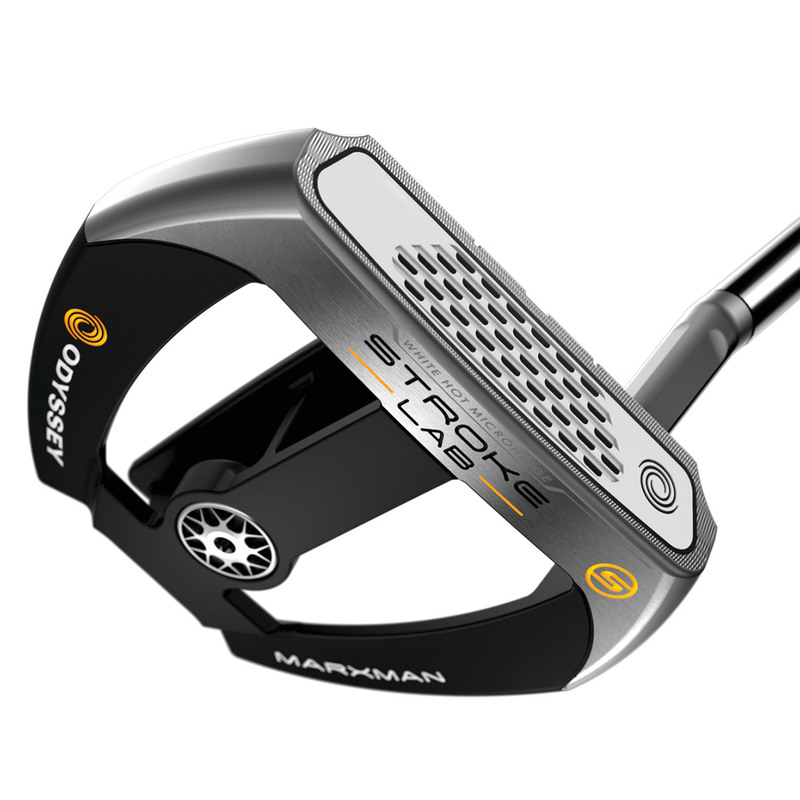 The Stroke Lab putter made this all possible by drastically redistributing weight from head, to shaft, to grip, to improve the golfer`s backswing and stroke through impact and tempo.